A referendum to change the name of Macedonia appears to have failed due to low voter turnout. 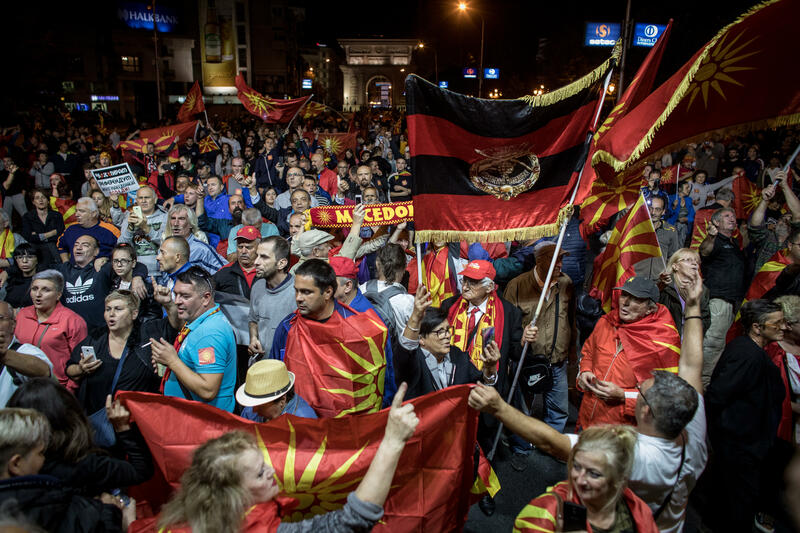 Macedonia's Prime Minister Zoran Zaev described the referendum to change the country's name to North Macedonia as a clear success, with results showing nearly 90 percent of voters approving the deal. But only about a third of registered voters cast ballots, and 50 percent turnout was needed. The vote was part of a deal with Greece to end a decades long dispute over what the country is called, since Greece has its own region known as Macedonia. By changing the name to North Macedonia, Greece would end its objections to Macedonia joining the European Union and NATO. Opponents to the deal called for a boycott of the vote and celebrated in the street outside parliament when initial turnout figures were announced. "Part of the problem is that even within Macedonia there's a number of people, the opposition, actually including the president, who boycotted the vote who say 'this is absurd, we shouldn't have to bow to Greek wishes about what we can call ourselves,'" said Alex Kliment of GZERO Media. Zaev, meanwhile, said the results showed a clear indication of the will of Macedonia's people. He called on lawmakers to support the next step needed to finalize the deal. There are objections to the referendum outside the country as well. Russia is accused of trying to meddle, in order to prevent the expansion of NATO. "A few weeks ago there was talk about Russia potentially using misinformation, disinformation campaigns to be involved in the referendum and to boost the no vote," Kliment said. "U.S. Secretary of Defense Mattis was in the region and warned of Russian attempts to meddle in the referendum. Russia of course has totally denied this."